What happens when decision-makers consider your application? By what criteria are they evaluating your readiness for service overseas? Who are they really looking out for? the candidate – An AIM term gone bad (or at least, one that doesn’t meet your expectations) can endanger a legitimate call of God on your life. How could it go bad? Check out my Short Term Nightmare post for 8 possible ways. the missionary – A missionary wears many hats at the best of times. They’re responsible to their church(es) on the field, to the national church as well as to their support base in North America. They must grow a church, often without the well developed leadership team that would be common back home. They must remain constantly focused on what’s happening now while also planning the next step. 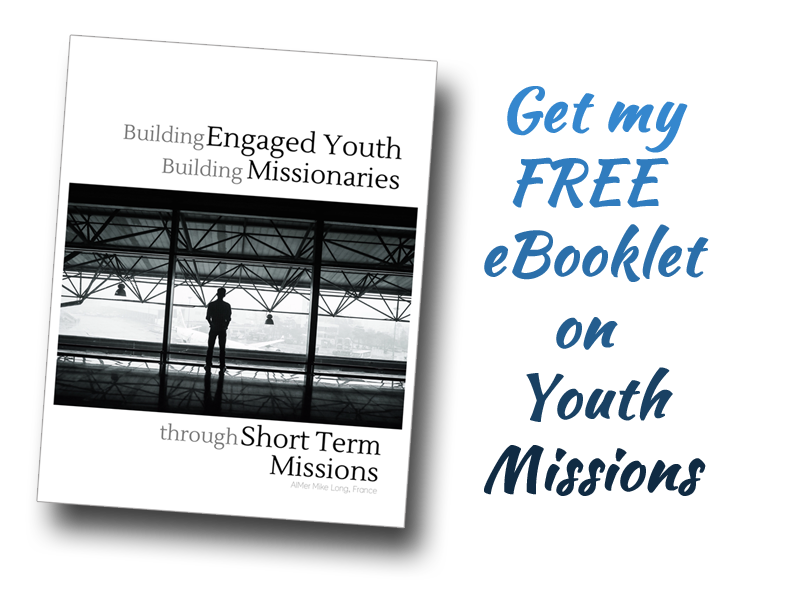 An improperly vetted short-term candidate can require a great deal of support from the missionary since they know the country, the people, the resources, etc. given their longer tenure onsite. They are also “the closest thing to home”, so if a volunteer is having a difficult time with any part of their experience, the missionary becomes the first gatekeeper of support (translator if language skills are insufficient, first responder in a medical situation, go-between with government agencies (hospitals, drivers’ licenses, visa officers, etc.) or just plain emotional support). They always expects to deal with some such issues, but too much can become a major drain on the missionary’s time, energy and mental focus. the national church – Although doctrinal issues are typically the same across the organization, the treatment of some questions of doctrine, or the practice thereof, can subtly differ from one country / continent / national church to another. By the very nature of the short term during which a volunteer may come, any lack of care on any of these questions can cause controversy among local believers. In Missions settings, many believers are younger in the faith and/or churches smaller in size, therefore, any controversy will have a greater impact that one would expect or anticipate. When decision-makers closely scrutinize applications on questions of belief, they are trying to protect national churches on the Mission Field. the sending organization – If a short-term experience goes bad, in any way, for an individual… the ramifications are felt by the sending organization. If the budget falls far shorter than expected and unforeseen economic reasons are not to blame, it’s organization can be seen as not properly creating an opportunity in which the candidate could “succeed” and lacking due diligence. If the candidate is not truly a good fit for either the missionary or the field – whether in terms of personality, skill or responsibility – the organization will be seen to have not properly screened either the individual or the opportunity. And the list could go on…. What’s important is that everyone involved (missionary, candidate, support base, etc.) looks to the organization to ensure, as much as possible, a good fit and a positive experience. If that does not happen… everyone still looks to them (to some degree) as having responsibility. If they are seen or perceived to not sufficiently prepare or protect all involved, they will lose the confidence of those looking to them and the organization ceases to be a viable choice for those looking for a short-term experience. the sending church – The sending church (be it a local church, a local district or the collective North American church) places a great deal of confidence and invests a great deal of money into short-term missions candidates. If the sending church invests $30,000 into a volunteer on a 6-month assignment and that individual has to return home early, having neither completed the term, significantly advanced the work on the field or having inadvertently caused an issue in the national church, then the sending church can feel as though, through no fault of their own, they have not be a faithful steward of the financial resources that God has entrusted to them. They can then become hesitant to give in the future or may give with reservation.Both long and short-term missions are greatly dependent on the giving of the North American church. The quality of decisions made by organizational decision-makers, as proven out over time, greatly impacts the confidence level of this church. It is therefore essential to protect the confidence of the sending church. Decision-makers are important: all parties involved depend on them to create, as much as possible, a win-win situation. So when they seem to over-emphasize this or that aspect of the application or the application process, they are really doing it for your benefit as much as everyone else’s … though it might not seem so at the time. A negative decision might not mean that what you feel to be the will of God is not that. It might be an indication that it’s not the will of God for that particular moment. If it truly is the will of God, then it will happen. Decisionmakers have been entrusted by men and by the Lord with judgement and responsibility to ensure that you experience the dream that God put in your heart without it ending up as a nightmare. If you haven’t yet read my Short Term Nightmare post… now might be a good time. Thank God for decision-makers!